In the MCM/Newark merger, it was decided that the Tenma website was due for a refresh. 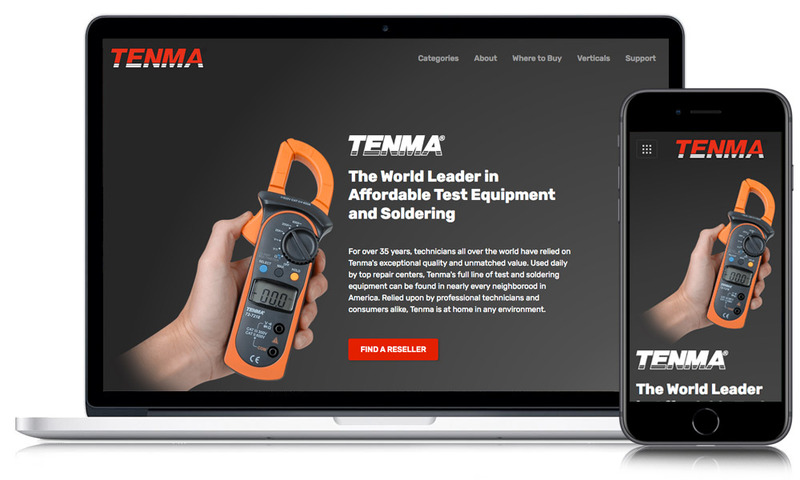 I decided that because supporting documents, images and product data for Tenma products were able to be found on Newark and Farnell’s websites, the updated Tenma site would be high level. I put together a one-page parallax-style responsive website that touched on Tenma’s current category offering, as well as its history and where to go to buy or get support. I was even able to source an audio generator from the native line of Tenma products to show (thanks Mark)!